Why is too much chlorine in pools so dangerous? When the summer sun causes the mercury to rise and you don’t want to sit inside an air-conditioned house all day, pools offer some of the best relief money can buy. Whether it’s your own pool or one of your neighbor’s, going for a dip can be a great way to reduce stress while your kids get a chance to use up some of that energy while staying safe from the heat. However, improper pool maintenance can lead to some less-than-pleasant health problems if you’re not careful. In fact, putting too much chlorine into pools can actually lead to a type of poisoning that can cause acute pain and discomfort for you and your kids. As long as you understand the warning signs and symptoms of chlorine poisoning, though, you should be able to go straight to a CareWell urgent care center for prompt and affordable treatments. Though just the thought of jumping into a pool filled with chemicals that can hurt you or your kids might be a bit nerve-wracking, chlorine-based cleaning solutions are necessary to keep pools safe. Because so many people usually make their way through a pool’s water, whoever’s in charge of maintenance must add a decent amount of chlorine to kill bacteria and other microscopic organisms from growing and clouding the water. Without this, pools can become havens for water-borne infections. When too much chlorine is added to the water, a safe pool can become a pit of harmful chemicals. In fact, over-chlorinated pools threaten swimmers’ health in two ways. First, contact with the skin can cause irritation similar to a burning sensation. Also, the gases given off by the evaporation of water oversaturated with chlorine-based cleaning solutions can enter the nose and eyes to cause severe itchiness and discomfort. Unless you or your kids have just swum in a pool that was filled with more chlorine than water, odds are that these symptoms aren’t life-threatening. However, they can still cause a great deal of pain. While most signs of mild to moderate chlorine poisoning will disappear without treatment within 24 hours, there’s no guarantee that the day will pass without a severe level of discomfort for you and yours. 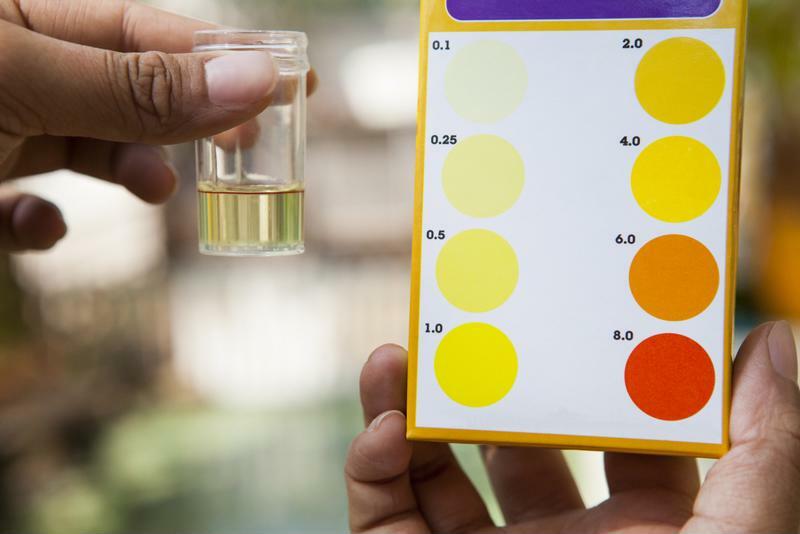 An experienced pool technician knows how much chlorine to use, but do you? As is the case for any health event that threatens the health of your lungs and eyes, the “wait and see” method doesn’t hold much water. As soon as you notice the signs of chlorine poisoning, it’s better to be safe than sorry by taking yourself or your kids straight to your nearest CareWell urgent care center. Even if you’ll be right as rain the next day, CareWell can still do something to minimize your discomfort until the symptoms of chlorine overexposure dissipate.